Have you caught the drone bug? Looking to buy your first drone but feeling overwhelmed? Want to learn how to build your own drone or become a better aerial photographer? Then this book is for you! 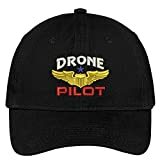 This book provides a good introduction to drones as a whole for beginners as well as advanced flyers. It features a detailed explanation on how drones work and their main parts, learning to fly a drone as a complete beginner and improving your flying. 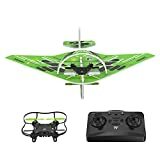 You will also learn about other unmanned radio-controlled vehicles as well as building your own drone from scratch, or, if you prefer buying one – choosing the best drone for you. If you are into aerial photography with drones, this book will also teach you how to become a bette photographer. This book includes: An introduction to drones How drones work and their main components Other radio-controlled vehicles and multicopters Learning how to fly drones and rules Building your first drone Buying your first drone How to shoot better photographs with a drone Tips and much more Are you ready to become more knowledgeable on drones, building your own, flying a drone and shooting better photos?